After a long day of travelling via ferry and coach (whilst hungover..) we finally arrived in Granada. I was pretty exhausted by this point so after the included dinner I headed straight for bed. Just as a side note, we were really lucky with how lovely most of the hotels were - pretty much all of them were 4*. 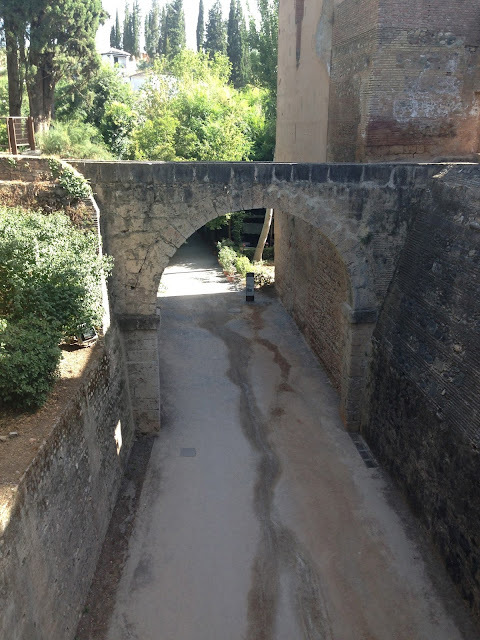 The next morning we headed off on our first tour of the day, we wandered around El Albaicin which is the old Moorish quarter of Granada and it had amazing views over the Alhambra. We had the afternoon to ourselves so me and some of the girls decided to do a bit of shopping - of course! We wandered the through the narrow lanes full of markets and then had a lunchtime stop, which undoubtably was frozen yoghurt (Strawberries and muesli is the best combo ever). After shopping we headed back to the hotel for a bit of bathing by the pool, or a siesta for some people. 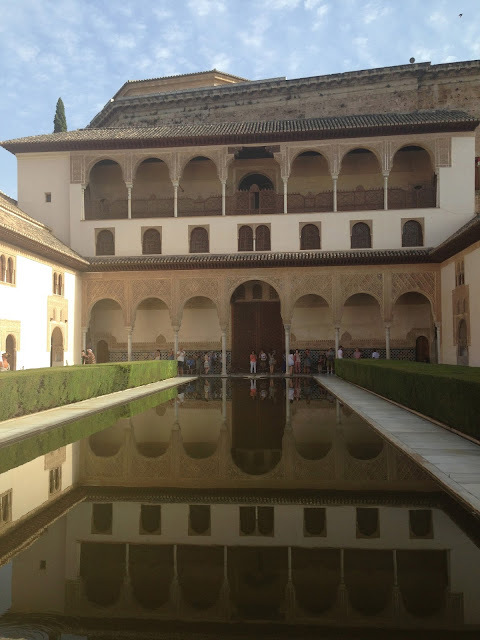 That evening we had our second tour of the day, a guided tour of the Alhambra. We started off by walking through the gardens and the views were spectacular. 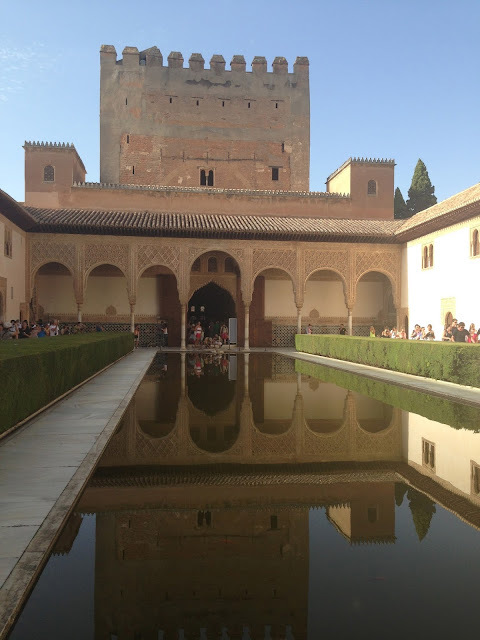 The Alhambra is a palace and fortress complex constructed in 889 and later in 1333 converted into a Royal Palace. The architecture and detail is amazing. 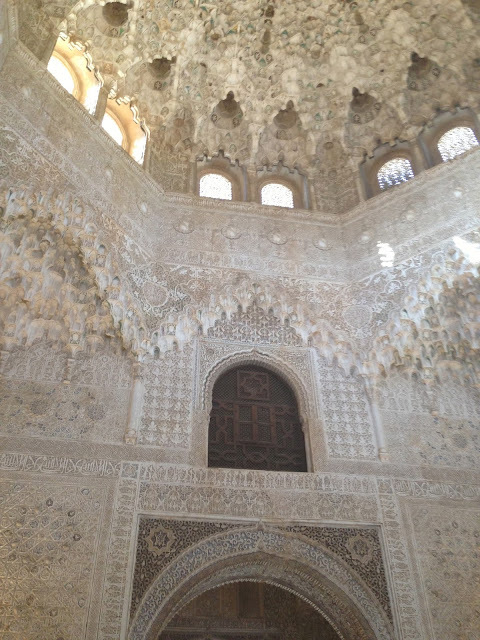 Following the Alhambra tour we made our way into town for some tapas and a traditional Shisha in a Moroccan tea room. 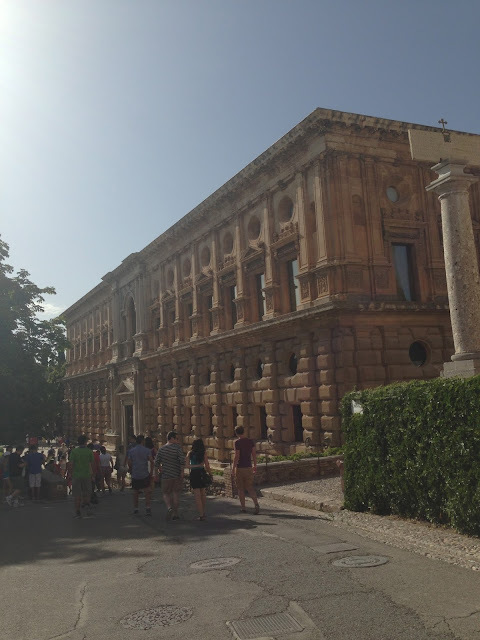 Granada was definitely a stark contrast to the couple of days spent in Ibiza, but it really shows the influence of the Moors in Spanish history and culture and its a beautiful place to visit. Cream Tea on the quay!